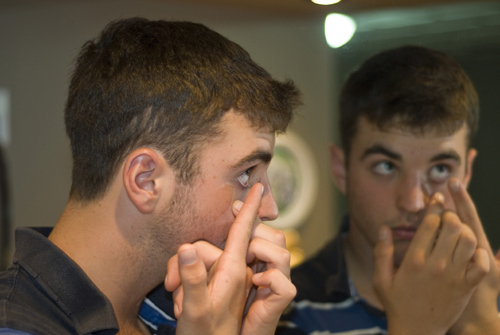 Have you been wearing contact lenses comfortably for years, but now your eyes feel dry, scratchy and irritated? You’re in good company. Many people who wear contact lenses will suddenly experience uncomfortable or painful symptoms – often caused by dry eyes. Yet this isn’t a reason to remove your lenses forever. Advanced eye care products, a lifestyle change, or a new type of lenses may solve your problem. 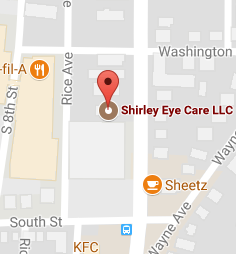 At Shirley Eye Care, we’re experienced in helping to restore comfortable vision to contact lens wearers with dry eyes. We’ll perform a thorough eye exam in our Indiana, Pennsylvania office to determine what’s causing your condition, and then we’ll offer effective relief. The most appropriate treatment depends upon the severity of your symptoms. Contact us for an appointment in our Indiana, Creekside, Ernest Penn Run & Lucerne Mines, Pennsylvania, clinic, and our eye doctors will assess your eyes. In addition to a detailed eye examination, we’ll want to know about your symptoms, general lifestyle and visual needs. Dry eyes and uncomfortable symptoms are not a reason to throw out your contact lenses! Your first step should be a visit to our Indiana optometrist for an eye exam to rule out any other serious, underlying eye problems. Once the cause of your discomfort is determined, we’ll work with you patiently to find the best solution. Contact our office for an appointment today. After your initial fitting, we’ll provide follow-up visits in Indiana, Creekside, Ernest Penn Run & Lucerne Mines, Pennsylvania. Our optometrists will verify that your eyes are healthy, with quality vision and no damage from the lenses. If needed, we’ll change the materials or fit of your contacts, or you may be advised to change your wearing time. If everything is good, you should schedule a routine yearly exam to make sure that nothing has changed with your eyes and eyesight. Make an appointment to see our local eye care professional in Indiana,Creekside, Ernest Penn Run & Lucerne Mines, Pennsylvania. Today! Our team of experienced optometrists will use many different testing procedures to check your eyes. Our Indiana, office is fully equipped with the latest equipment. To determine visual acuity, you will be asked to read a standard eye chart and we will check refractive error. To diagnose or rule out any eye diseases, we will inspect your inner eye tissues with a high-powered lens. This exam also provides significant information about your overall health. For more information about comprehensive eye examinations Call Shirley Eye Care on (724) 790-2020 in Indiana, Pennsylvania to schedule an eye exam with our optometrist, Dr. Matthew Shirley.